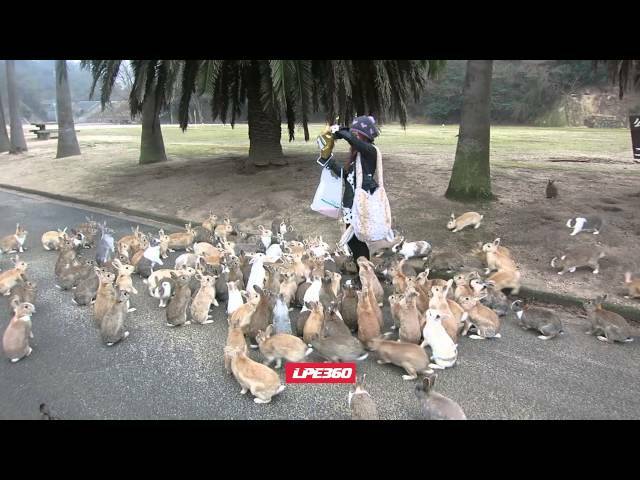 Woman is chased by hundreds of rabbits! A tourist from Hong Kong captures this amazing video at Okunoshima (“Rabbit Island”) in Japan. The island is home to thousands of bunnies that were introduced during WWII and quickly populated the island. Now tourists visit the island to see the rabbits and the cuteness.